Friendly and efficient accomodation with a gorgeous Inglenook fireplace and some truly excellent food. Located just a mile or so from Honiton. 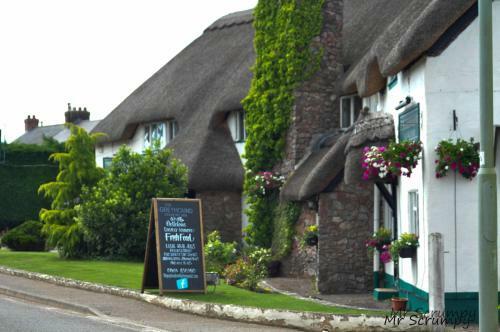 Rather than being in the centre of town itself, you will find the Greyhound Country Inn just south of Honiton in the tiny little hamley of Fenny Bridges. The village sits on the banks of the River Otter just a few miles west of Honiton and provides instant access to the A30 and A5. The surrounding area is beautiful and has become increasingly popular with nature lovers. It's a simple pub-with-rooms affair but the accommodation is more than adequate for guests likely to be busy exploring Devon. Guests can enjoy the on-site bar and each of the guest rooms is equipped with a TV. You will find a kettle in the room. Each room is equipped with a private bathroom.